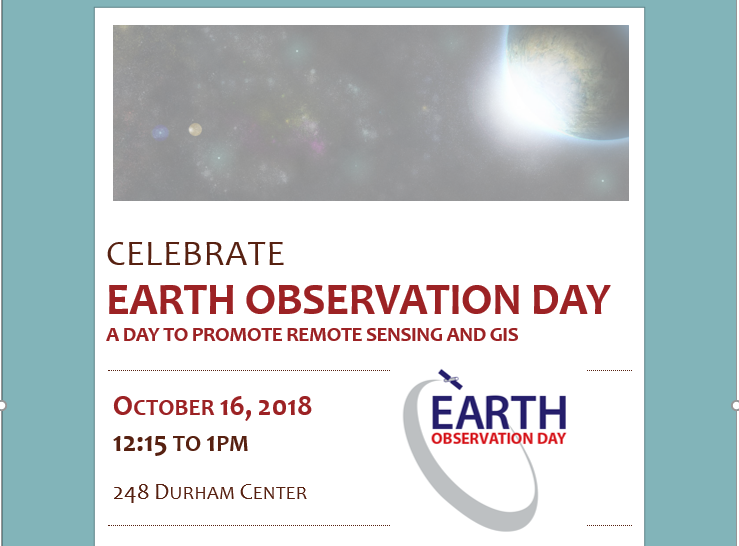 IowaView, in collaboration with ISU GIS Facility and AmericaView, will be hosting the annual Earth Observation Day celebration, Tuesday, October 16, 2018, in Durham 248 from 12:15 to 1pm as part of Earth Science Week. This year, Gregg Hadish, a staff member of ISU GIS Facility and Iowa NRCS will be our featured speaker; he will give a hands-on demo of the Iowa Geographic Map Server (http://ortho.gis.iastate.edu/.) 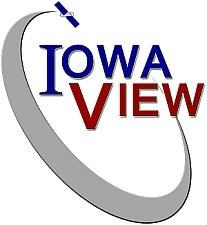 Iowa Geographic Map Server is browser-based website for statewide Iowa imagery. Gregg has been involved with the development of the Iowa Geographic Map Server for nearly twenty years. The presentation will highlight recent innovations to the map server including an updated interface as well as many new features and image services. Iowa Geographic Map Server hosts statewide Iowa imagery dating back to the 1930s through spring 2018 as well as layers of elevation data (Lidar hillshade, contours), high-resolution land cover data, and historical data including the 1880s General Land Office maps and Andreas Atlas. Many of the layers are available as web services within GIS software. This is one of the most robust, publicly available, spatial imagery datasets in the country. This treasure trove of Iowa imagery that is waiting to be incorporated into your research. This workshop is for all levels. There will also be time for questions. If you plan to come, please RSVP with amylogan@iastate.edu as computer space is limited.